Make your tee time on time! Charleston is a golfer’s paradise that is home to a handful of internationally recognized, impeccable courses. For many, the golf course is a recreational sanctuary where people go to relax, and we make it easy to do so. 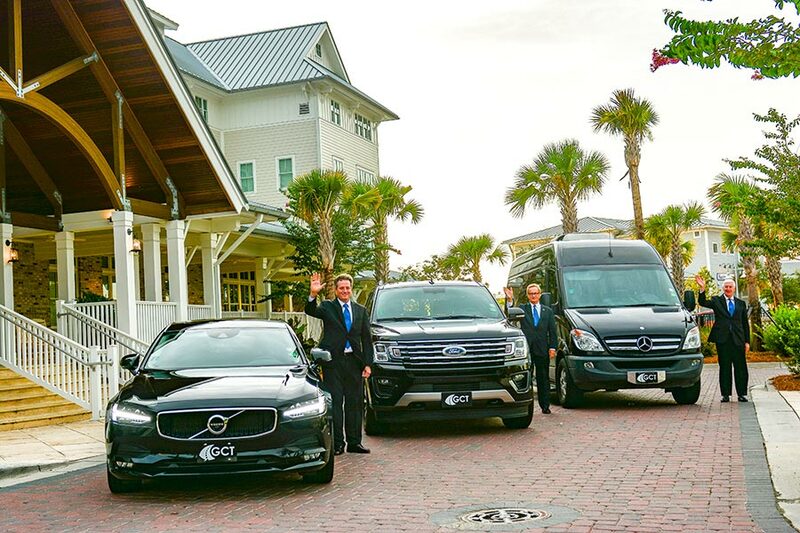 Our golf transportation in Charleston will get you to the tee time on time every time. At Going Coastal Transportation, we know all the best places to spend an afternoon on the links. Whether you’re planning a golf getaway for you and your friends, entertaining visiting clients or in town for the 2021 PGA Championship, we have the right golf transportation for you. During weekdays, we also offer pickup and drop-off service to all area golf courses. Our fleet has the perfect vehicle for your golf outing in Charleston, whether you’re hitting the green solo or with a group. It doesn’t matter if your golf transportation is for business or pleasure, we have the right vehicle for your golfing needs, all with plenty room for your clubs. A reservation expert can make recommendations to Charleston’s best golf courses and handle your entire booking process, and our chauffeurs are able to assist you and your guests with your clubs. Reserve your next golf outing in Charleston with Going Coastal Transportation! We’ll get you to the best golfing spots in Seabrook Island, Kiawah Island, Mt Pleasant, and more.